If you have had an accident at work caused by tripping or slipping then you are entitled to claim compensation and damages for your injuries and losses if the accident was caused by someone else’s fault. Cohen Cramer Solicitors can deal with your claim on a No Win-No Fee basis so, if your claim fails, you won’t pay a penny for the work we have done on your behalf. Your accident may have been as a result of oil, water, cleaning fluid or other liquid spilt and not cleared away. You may have tripped over a box, a piece of packing, binding, plant or tools that have been left in the walkway – whatever the cause we can help you claim the compensation that you deserve. It doesn’t matter whether you work in a shop, office or factory you can still make a claim if you have had an accident. Your employer is required to provide you with a safe place to work and also ensure that your colleagues do nothing to put you at risk or in danger. Therefore if you are injured as a result of a colleagues’ negligence you can still bring your trip, slip accident at work claim against your employer. We are experts at dealing with claims just like yours and we can help you claim compensation for your injuries and losses. financial losses arising from the accident such as care and treatment costs, lost income and future losses. 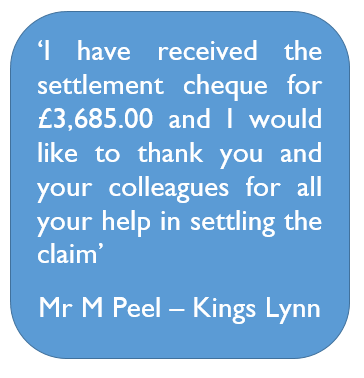 Your claim can be dealt with on a no win no fee basis so that you don’t have to worry about the cost.